These two images show the Swiss Cottage "Lauterbrunnen" situated on a bluff northwest of the Glen Iris. Originally built by Mr. Letchworth, the structure served first as lodging for guests. 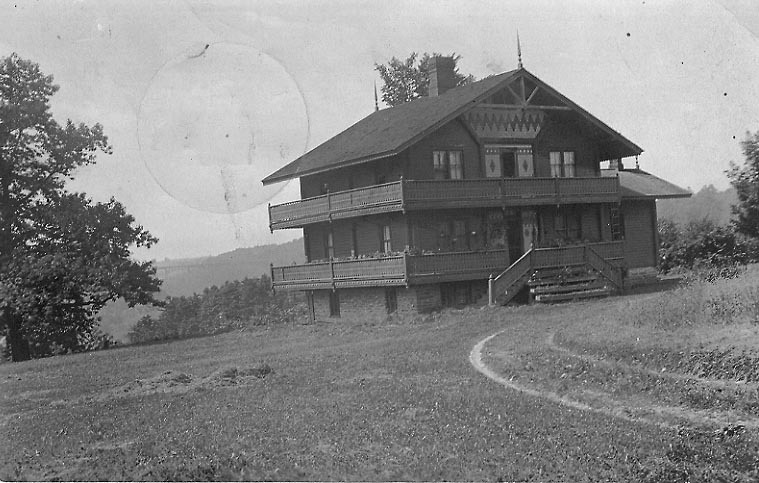 After the Glen Iris became Letchworth Park, Lauterbrunnen became housing for the Park Superintendent. The image above was sent to Mildred Lee (Anderson) from her sister Marion in September of 1910. Sometime later Mrs. Anderson, author of Genesee Echoes, labeled the card "Supt. house at Park". 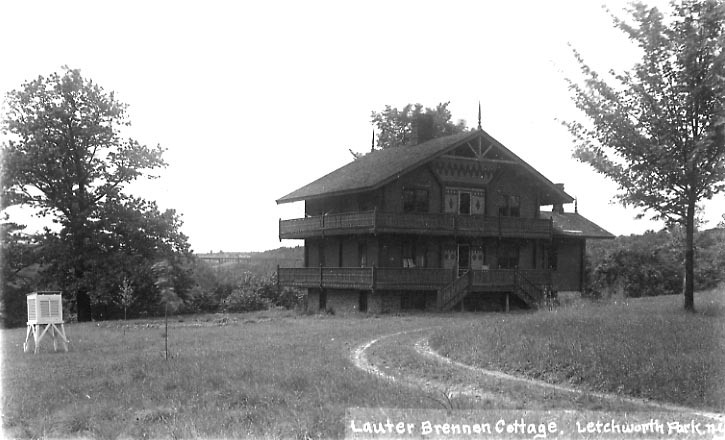 The image below is labeled "Lauter Brennen Cottage, Letchworth Park N.Y." It is not postmarked or dated, but appears to be taken a few years after the photo above. The small vented box with legs to the left was for equipment to take weather readings.